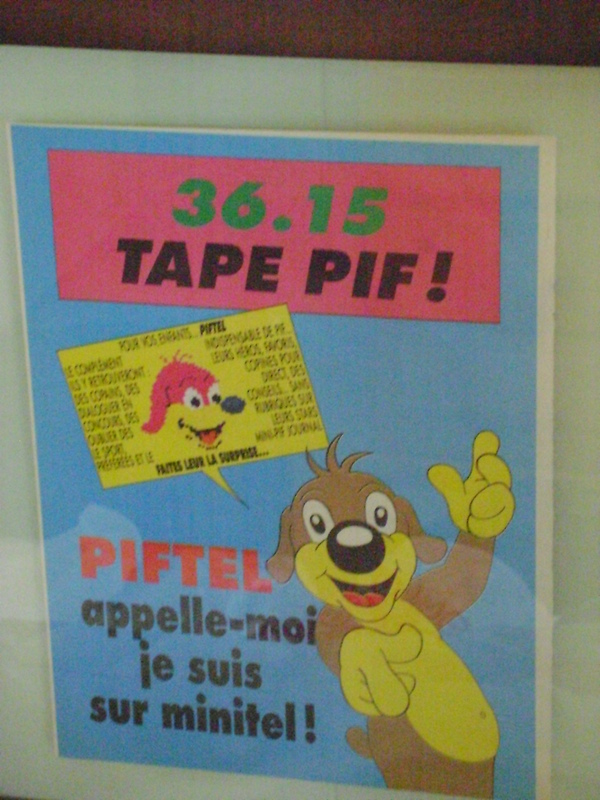 This is a magazine ad for PIFTEL, the Minitel site of PIF, a weekly comic magazine for children published by the French Communist Party. At its peak, PIF printed up to 1 million copies. 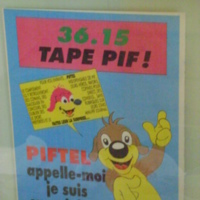 This ad presents PIFTEL as an online companion to the printed magazine. With Minitel, the French print industry was one step ahead of the rest of the world, experimenting with online business models for publishing as early as the 1980s.